The much anticipated Old Kingdom novel is finally here. Clariel has a double whamming in lineage as granddaughter of the King and granddaughter of the Abhorsen yet has never met either man. She has inherited the berserk gene that enables her to control Free Magic creatures. Clariel is upset when her parents decide to leave their small town close to the peaceful forests that Clariel needs in order to secure their future in the political upheaval of the capital. Much to Clariel’s dismay, it seems a political marriage is in her future so that she will never be able to return to her beloved forest. Everyone’s plans go awry and Clairel must come to terms with her lineage. I eagerly, impatiently waited for the next in the Old Kingdom series that began when Sabriel was published in 1995. Now that it is here, well, it is not as dynamic as Sabriel, Lireal, and The Abhorsen. Half the book focused on Clariel moaning about missing the forest and yearning for the forest and ignoring her Charter Magic. It wasn’t until the dinner scene with Governor Kilp that things FINALLY picked up. The Abhorsen’s house, Mott, and Free Magic creatures join the story. But for such a very brief time. 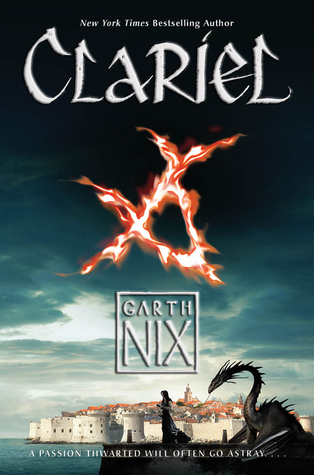 Clariel isn’t the typical heroic Old Kingdom character – she makes a plethora of mistakes and is quick to action without thinking things through. That’s okay – it makes her real. My favorite character introduced is Bel. I wonder what adventures he has coming. This book can be read as a stand-alone, but the story flows much better if the other books are read first, in publishing order. This entry was posted in fantasy and tagged Old Kingdom. Bookmark the permalink.